I remember reading once (or hearing on the radio?) that Fergie was the only member of the Black-Eyed Peas who actually liked black-eyed peas. 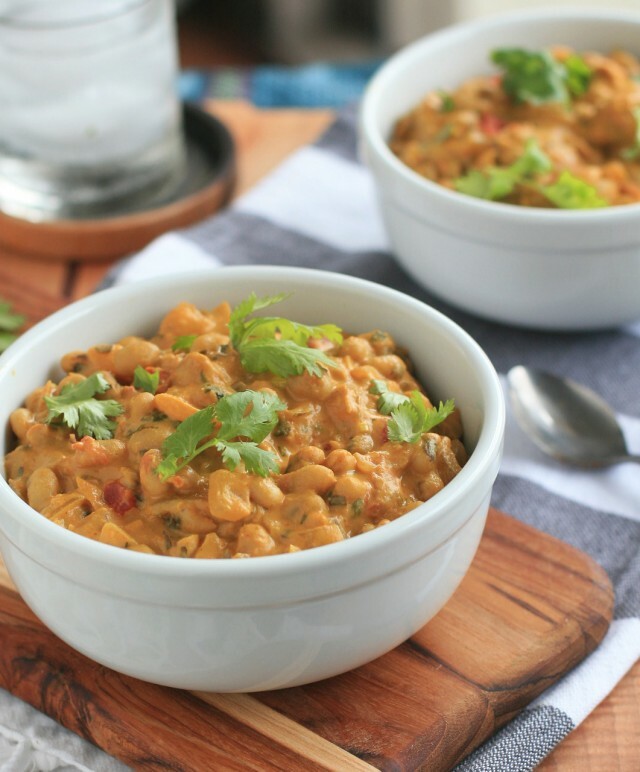 Well, in the unlikely event that I’m one day in charge of feeding the on-again, off-again band , I feel like I’d have a pretty good chance of changing their minds with my garlic and cheddar black-eyed pea dip as well as this creamy Goan black-eyed pea curry. 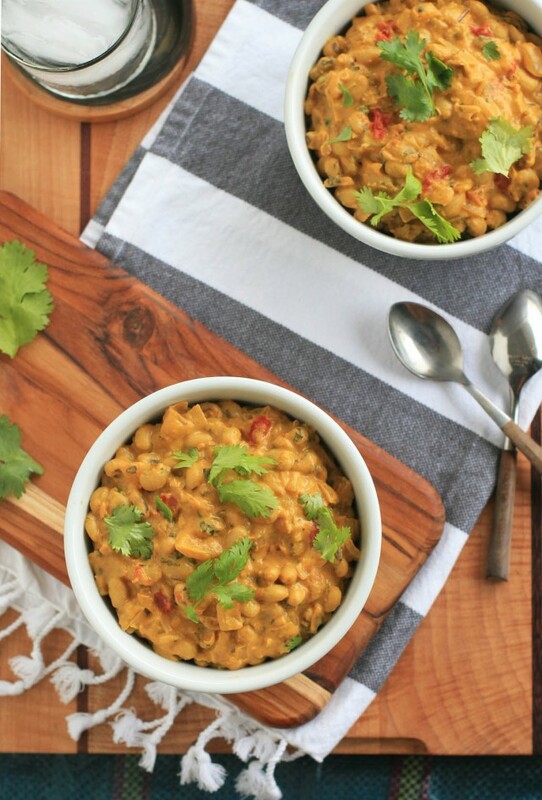 I know that Indian food can seem pretty overwhelming to make because of all the unusual and/or hard to find ingredients, but this curry primarily uses canned pantry staples and a couple Indian spices. It’s the perfect recipe to get your feet wet in Indian cooking. But as much as I love kitchen shortcuts, if you’ve got a little extra time on your hands I’d definitely recommend boiling up a bag or two of black-eyed peas yourself. 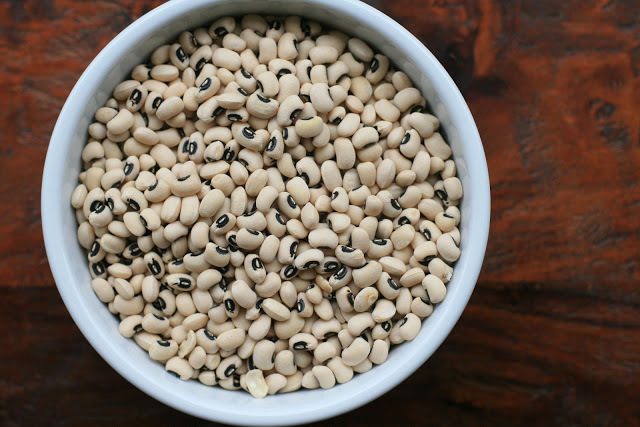 Not only is it cheaper (and you avoid the BPA exposure), but you can use any extra beans to make this Indian black-eyed pea salad. It’s like a delicious two for one special. 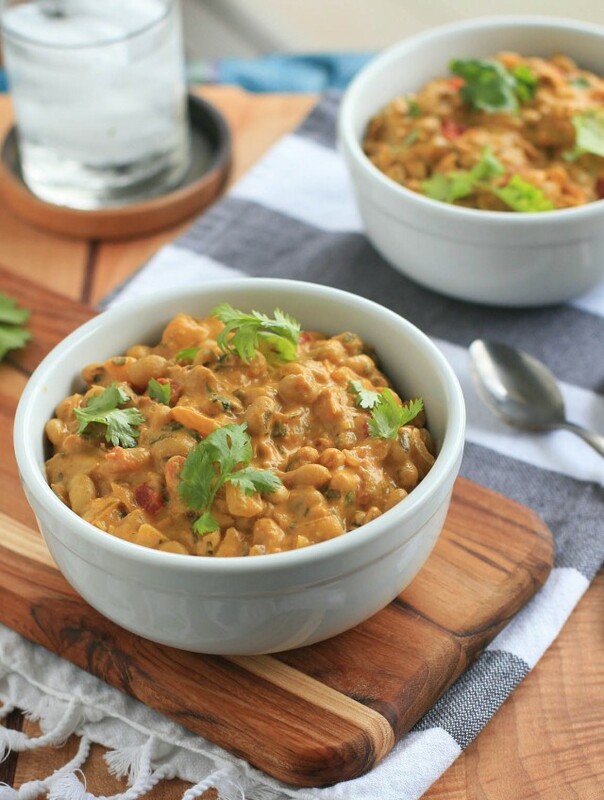 I enjoy this curry extra rich and creamy, but feel free to substitute 1 cup of vegetable or chicken broth for the some of the coconut milk. Heat the oil in a large saucepan over medium-high heat. Add the onion and cook, stirring frequently, until the onion has begin to turn golden. Add the garlic, ginger, coriander, turmeric, cumin, and cayenne and cook, stirring frequently, until the mixture is very fragrant, about 1-2 minutes. Reduce heat to medium, add the tomato and any accumulated juices to the saucepan and cook until the tomato begins to break down. Add the black-eyed peas, salt, sugar and coconut milk and stir to mix. Reduce heat to medium-low and simmer for about 15-20 minutes, stirring occasionally, or long enough for the sauce to thicken slightly and for the flavors to meld. Add the lemon juice and cilantro leaves, stir, and cook for another minute. Taste and adjust salt if necessary. Serve hot, garnished with a few cilantro leaves, if desired.